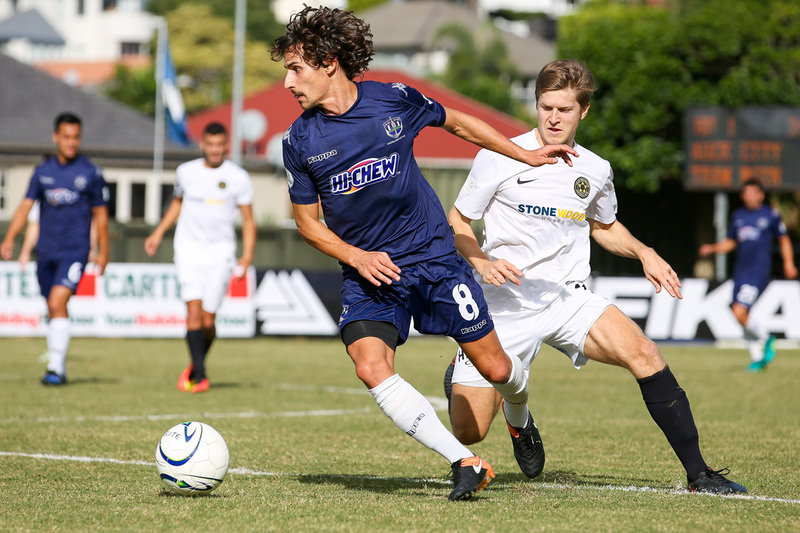 Auckland City's Albert Riera in the first leg of the 2017 OFC Champions League final. Auckland City have dominated Team Wellington 2-0 in their OFC Champions League final, claiming their seventh consecutive title and a place at the FIFA Club World Cup UAE 2017. Team Wellington: 1. Scott BASALAJ (GK), 2. Justin GULLEY, 5. Bill ROBERTSON (C), 6. Taylor SCHRIJVERS, 7. Leo VILLA, 9. Tom JACKSON, 11. Mario BARCIA, 12. Andy BEVIN, 15. Joel STEVENS, 16. Ben HARRIS, 19. Joshua MARGETTS. Substitutes: 23. James McPEAKE (RGK), 4. Guillermo MORETTI, 10. Nathanael HAILEMARIAM, 14. Billy SCOTT, 17. Sam BLACKBURN, 18. Nicolas ZAMBRANO, 21. Niko KIRWAN. Auckland City FC: 1. Enaut ZUBIKARAI (GK), 3. Takuya IWATA, 4. Mario BILEN, 5. Angel BERLANGA (C), 6. Cam HOWIESON, 8. Albert RIERA, 9. Darren WHITE, 14. Clayton LEWIS, 16. Daewook KIM, 17, Joao MOREIRA, 20. Emiliano TADE. Substitutes: 18. Danyon DRAKE (RGK), 7. Reid DRAKE, 10. Ryan DE VRIES, 11. Fabrizio TAVANO, 13. Alfie ROGERS, 19. Micah LEA’ALAFA, 23. Marko DORDEVIC.